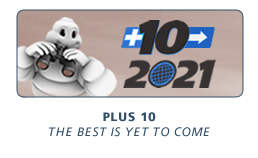 2011: Plus 10. The Best is Yet to Come! Thierry Dumaine, 51, lives in Nice, France and has been a student of the arts for more than 20 years. He is currently an art teacher for children and he is interested in all types of design including graphic, transportation, environmental and product and builds special bicycles. The area where he lives is densely populated and a small car is a necessity. Most people prefer cars that are noticeable. It is very windy and it would be interesting to recover this energy source. 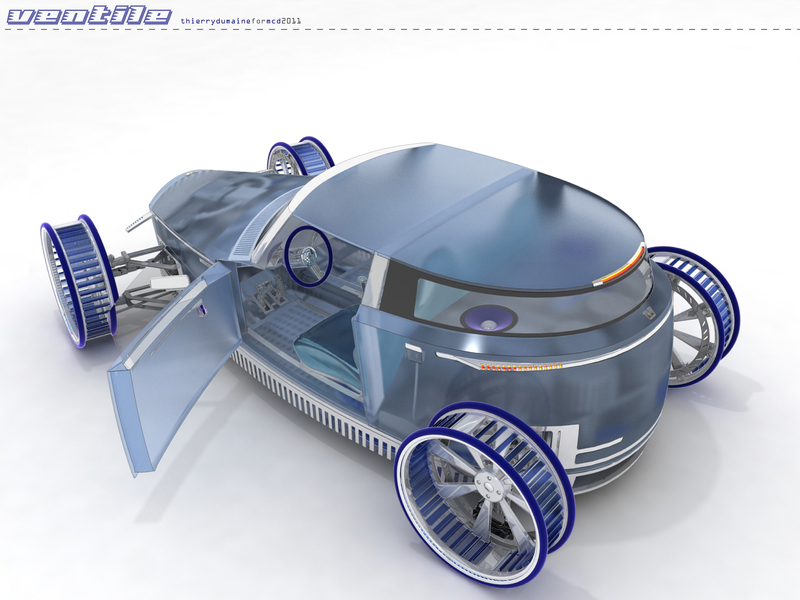 Ventile is a translucent car with very special wheels – integrated fans in the wheel and the choice of light materials. 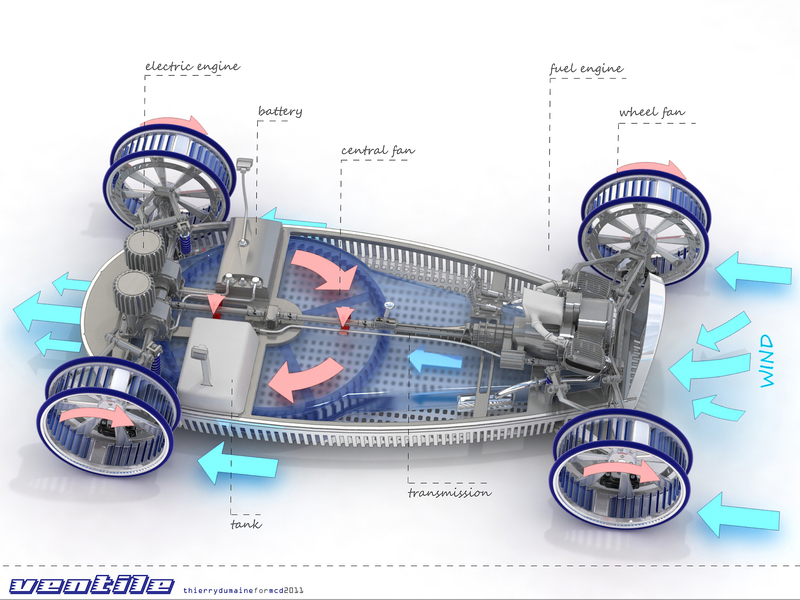 The powertrain has two motors – one electrical and one with fuel. The two motors are connected to a large fan. The fan is propelled by the wind. If there is no wind, it can turn from the speed of the car in a descent. 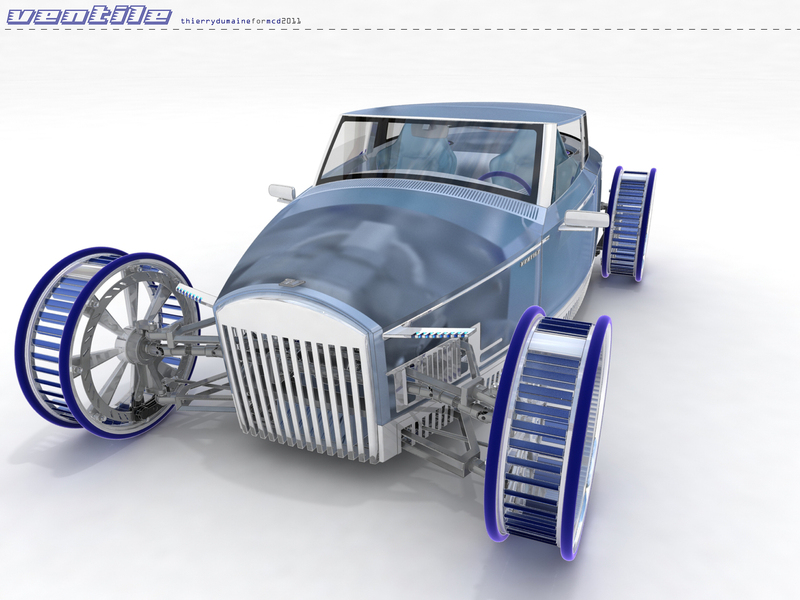 The wheels use very small tires for an economic friction with the road. Between the tires is another fan. The large fan in the base of the car – the wind makes them turn to help the rotation of the wheels. 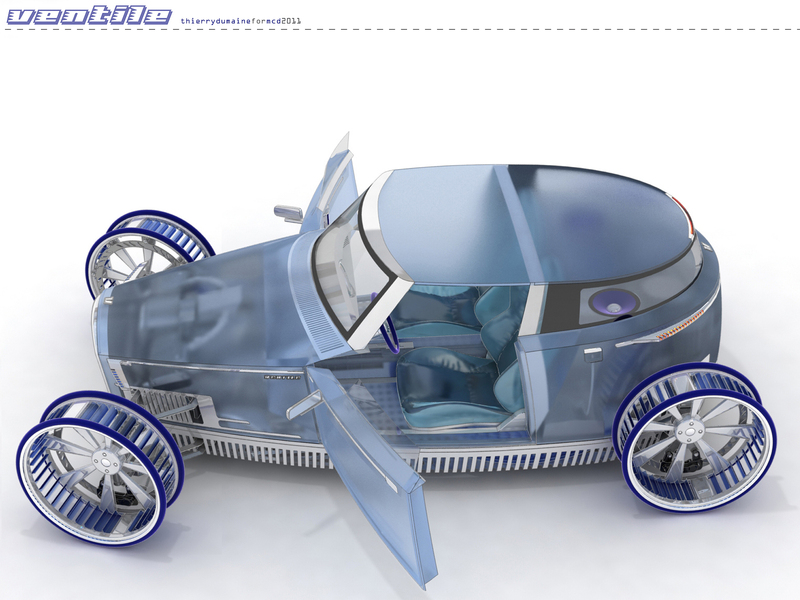 The body of the car is made with a translucent and soft material. 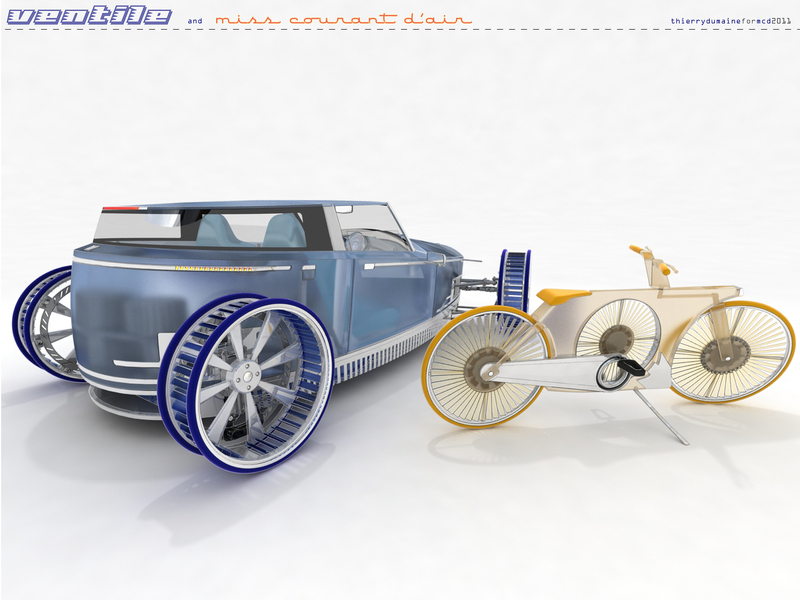 All the parts of the car are made with very light materials and the seats are inflatable. 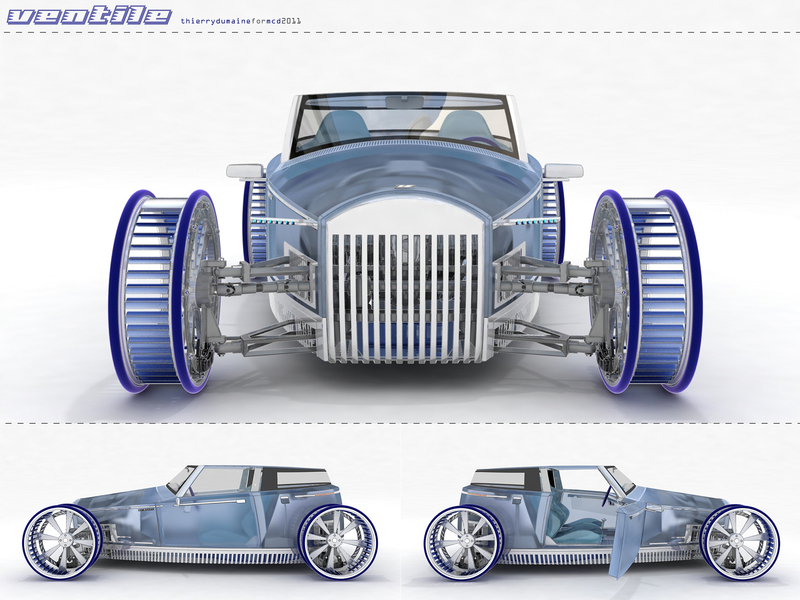 The global design of the car seeks a maximum or profit of weight. 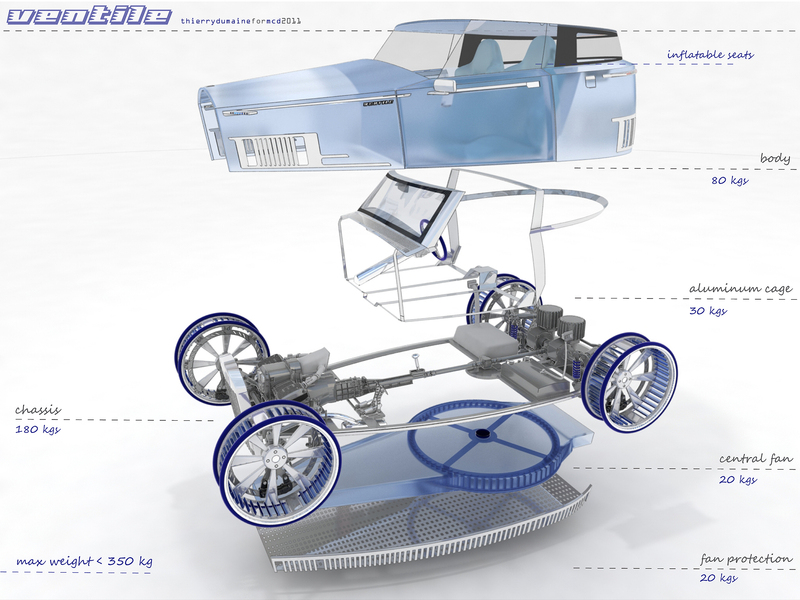 Ventile does not have to exceed 350 kg.